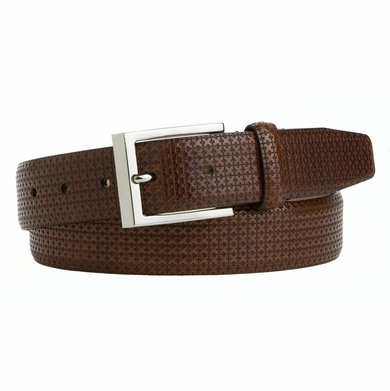 1-1/4" = 32mm Wide italian calfskin leather brown belt. Unique pattern in the front of the belt with a soft feeling in the inside. 5 Holes for easy fit adjustment and a polished silver plated buckle. Matching keeper.